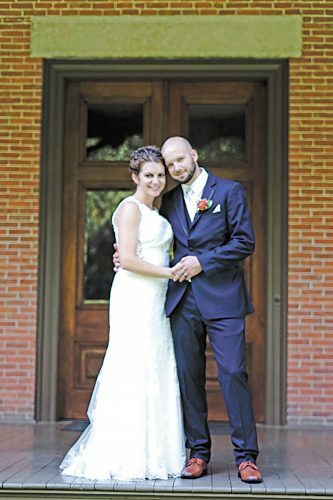 Heather Renee Pump and Douglas Matthew Bazar exchanged wedding vows at 1 p.m. June 27, 2015, at St. Mary Catholic Church in Tiffin. The Rev. Kishore Katana and the Rev. Christopher Bazar were co-officiants during the double-ring service. A reception followed at Eagles in Clyde. The bride is the daughter of Bruce and Donna Pump and the late Mary Louise Pump of Fremont. The bridegroom is the son of George and Julie Bazar of Tiffin. The bride, given in marriage by her father, wore a floor-length, white chiffon gown accented with crystal beading. Her headpiece was a tiara attached to a sheer, waist-length veil. She carried a clutch bouquet of white tulips, baby’s breath, white gardenias and purple and white roses. The attendants wore floor-length, oasis chiffon dresses. They carried clutch bouquets matching the bride’s. 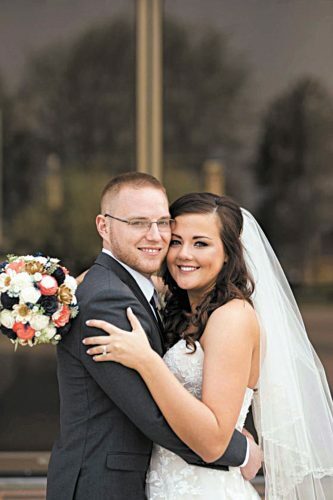 Tabitha Blody of Clyde was her best friend’s matron of honor. Bridesmaids were Alana Folk of Bellevue, godsister of the bride; Carrie Willis of Fremont, friend of the bride; and Theresa Hay of Fremont, friend of the bride. 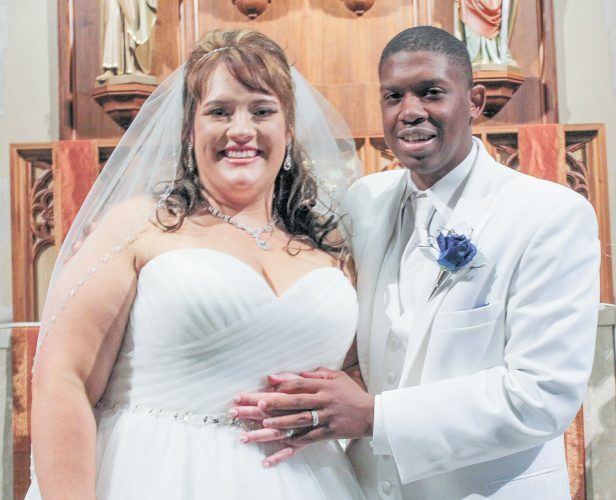 Edwin Asa Bour of Findlay, best friend of the groom, was best man. Groomsmen were Frederick Lust of McCutchenville, friend of the groom; Steve Snyder of Englewood, friend of the groom; and Ryan Pump of Fremont, brother of the bride. 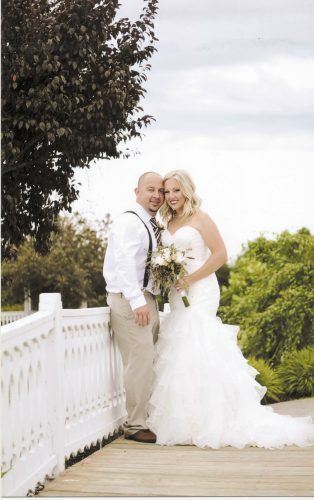 The bride graduated from Fremont Ross High School in 2000 and from Bowling Green State University in 2005. She works at Reno Linen Service of Gibsonburg. 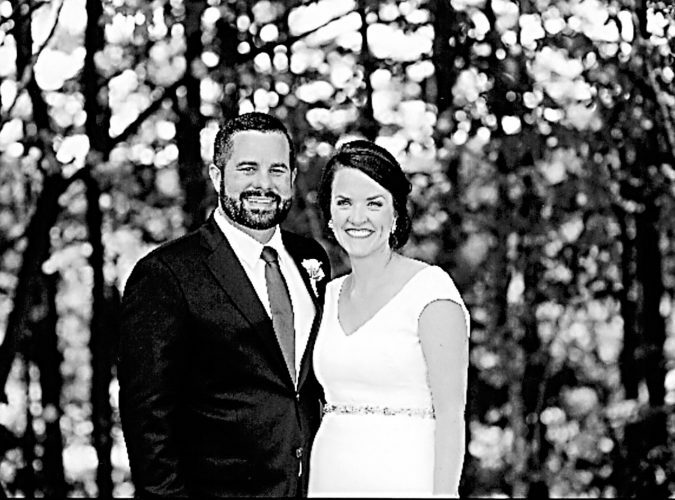 The groom graduated from Tiffin Calvert Catholic High School in 1996 and from Bowling Green State University in 2002. He is an adjudication specialist for the U. S. State Department in Detroit. A rehearsal dinner was at T.J. Willie’s in Tiffin. They will reside at 19691 S. Glen Blvd., Apt. B, Trenton, MI 48183, following a honeymoon at Niagara Falls, Ontario.